There are a few options for the mundane horoscope of Palestine. This is a difficult one because the Palestinian state is still more of a plan or ideal than an actual entity. Below is a list of options from Nick Campion . A. 1948, May 15, 00:00 am UT, Tel Aviv.represents to end of the British mandate over Palestine which as Campion mentions, is relevant to Palestine as a whole, but not specifically for the Palestinian state. Israel declared itself a nation just six hours beforehand. B. 1988, November 15, 00:40 am, Algiers. This chart shown below is for the proclamation of the independence of Palestine, made by Yasser Arafat. Campion suggests relocating the chart to Jerusalem but I have kept it for Algiers as I will explain below. C. 1993, May 4, 8:55 am UT, Cairo. This chart is for the signing of the Palestinian autonomy documents, which has resulted in what is now called the Palestinian National Authority. Campion also relocates this chart to Jerusalem . This chart is more of a manifestation of horse trading between the US, Israel, and the PLO. The entity does not include Hamas. I have chosen to use the Proclamation of Independence, set for Algiers. 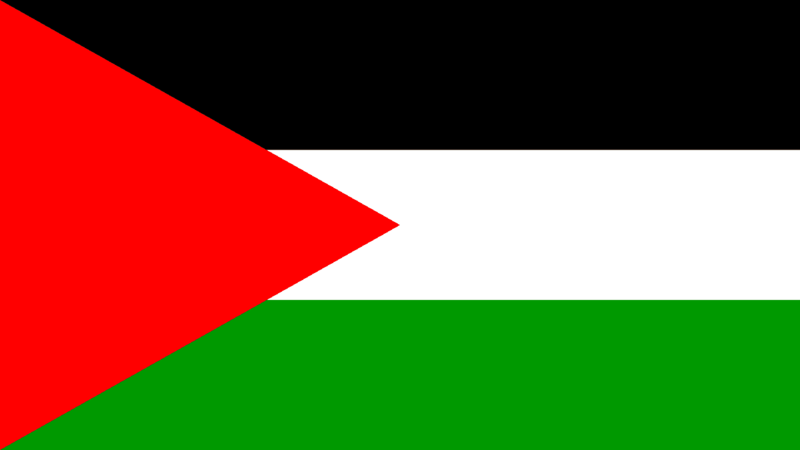 I believe that theoretically, it is more representative of the ideal of a sovereign Palestinian nation. It was declared by Palestinians on their own terms. The philosophy behind keeping the chart set for Algiers is simply because that is where the event took place. This keeps time and space connected. When the Palestinians get their nation, then we will have a new chart, new time and place. Event 2. 2004, death of Yasser Arafat. Event 3. 2005, Israel’s unilateral disengagement from Gaza. Event 4. 2008, Gaza War. The signing of documents at the Palestinian Reconciliation Ceremony occurred on May 02 2011, 2:58 pm, Cairo Egypt. After four years of deep division, Hamas and Fatah agreed to work together. Israel and the former Egyptian regime opposed the deal. US Embassy opened in Jerusalem, 60 protesters killed by Israeli troops. The Book of World Horoscopes, Nicholas Campion, p,223. “6:21 AM – 15 Nov 12” (ET) @IDFSpokesperson. Hi, I used that 15th nov chart in my post on the Solar Eclipse – at 21 scorpio it fell exactly on its Sun in the 3rd. great debate, I think it is vital to get countries charts as accurate as we can, well done! Good post Pippa, like I commented, great to you a list of countries affected by the eclipse. With Palestine and Israel’s Sun in permanent opposition now having been triggered by the Scorpio Total Eclipse it is a very troubling developing situation. Any thoughts as to Abbas’s bid to the UN General Assembly for Palestinian non-member statehood on November 29, 2012? If he is successful, that would be a major blow to Netanyahu and Israel. Which may be what the hard transits to Israel’s 10th house planets are indicating. Looking at Israel’s chart, the first house Saturn transit is still squaring the 10th house Moon. Also, transiting Mars/Pluto is quincunx Israel’s 10th house Moon/Pluto. Netanyahu has transiting Saturn on the 12th house cusp, which suggests to me a time in the wilderness and obscurity, which resonates with Israel’s first house Saturn transit. The first house Saturn correlates with Israel’s increasing isolation and vulnerability to criticism within the global community, the U.S. and the EU excepted. The November 15th chart for Palestine shows a transiting Moon/Jupiter in the 10th house, quincunx natal Pluto, and transiting Mars/Pluto conjunct natal Neptune. That transiting Neptune square to natal Jupiter in the 10th may mean a dream come true? 138-9 in favor of Palestine’s bid for UN non-member statehood! The underlying premise of these three charts is that the Palestinians want a state alongside Israel. They don’t want that. “Palestine” is the project to destroy the state of Israel, due to Islamic doctrine, anti-Semitism, the absurde projections onto Israel of it being an empire, a colony, a western something, in short, the unwillingness of Arabs and Muslims to grant recognition to the Jewish people’s right to its ancestral homeland. Hamas, Islamic Jihad, Fatah, PLO as terrorist organizations have charters for that genocidal purpose. These charters are possibilitie for charts of Palestine..
Good decision to place the Palestinian chart in Algiers. The Ascendent is exact per Solar Arc Direction. New Moon and Transiting Mars/Uranus ( blood, bleeding, violence ) 29 Cardinal = Natal Ascendent 29 Leo, and Natal Moon and Uranus per dial.